Please note that the expiration date in the Magazine Subscription Manager will not reflect if you have been already on file with the publisher. I enjoyed the Vegetarian Society’s magazine, but this covers far more than just recipes. 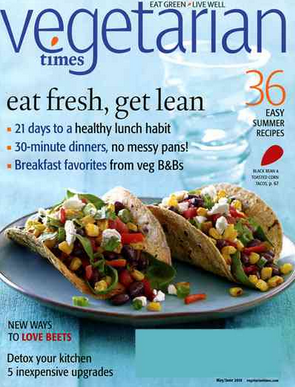 I have looked through the vegetarian magazines in the US industry and nothing has actually appealed to me. Excellent excellent concepts for low cost a tasty meals, please maintain this magazine going. In a meals magazine I do like to read about eating locally grown food, I like recipes with minimally processed components, and I really like pictures of what the completed dish must appear like.